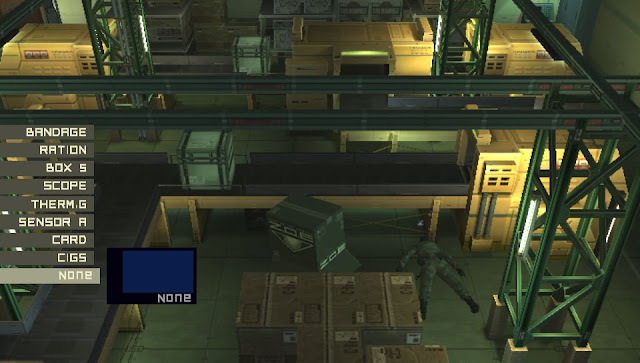 Konami has provided us with a review code for their latest Metal Gear Solid remake; this time around it is for the Vita and comes fully loaded with MGS 2 and 3. Both were and still are some amazing games; combine that with the ability to take two of Kojima’s finest games on the go while also appearing in HD on the Vita’s beautiful screen. 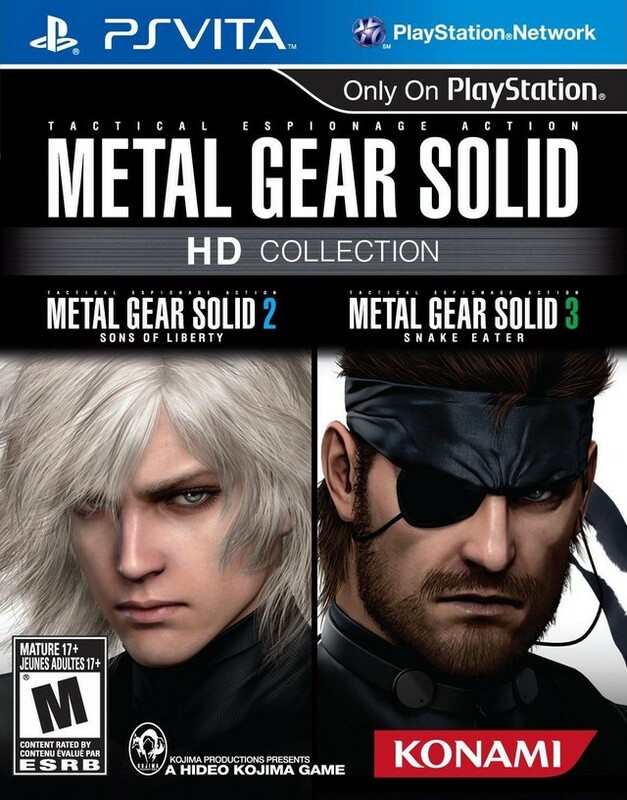 So what makes this version different from the PS3 HD collection since it is the same price but only two games? Two little features make me hope developers will catch on to, first being the updated the controls to utilize the touch screen and the other is Transfarring or saved data sharing with the PS3 version of the collection. Let’s see how this on-the-go game holds up many years and multiple consoles later. I will argue until I am blue in the face that the earlier Metal Gear Solid title are great if not perfect games…up until MGS 4, I mean there are only so many cutscenes I can take. 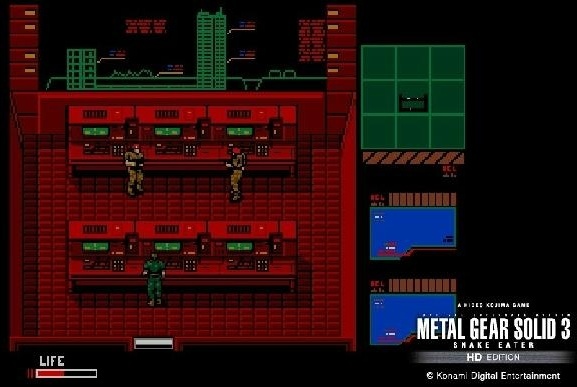 That aside, most of us have all played or seen someone play the earlier Metal Gear Solid titles, so the emphasis on this review will show how it holds up with its shiny new coat. 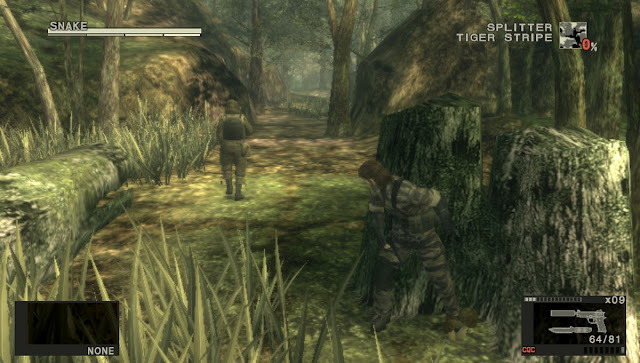 Holds up, it does as the HD graphics on the Vita look great, worlds above the release of Snake Eater on the 3DS. Speaking of the 3DS, the controls work better on the Vita over the hard edge Nintendo portable, with the dual analog joysticks and access to your items and weapons from the corners of the touch screen without much obstruction to the view. Aside from how the updated gameplay holds up, MGS 2 and 3 is not all that comes in this hefty package, but Metal Gear and Metal Gear 2 Solid Snake as well. Not without flaws, there were some things that took away from the enjoyment; the biggest is the sensitivity of the controls. From the camera controls to trying to keep a steady aim, it takes patience and a slow, steady hand. This collection is an memory hog, claiming a whopping 3.3 gigs of my memory card, so my advice to you is make sure you have the space on your memory card or buy retail. Lastly is the price tag, it is the same price as the PS3 collection and does not include MGS: Peace Walker. The Transfarring feature was really damn cool, but to have the collection on both systems would run you eighty dollars. I told myself that I would not play through the Metal Gear Solid series again when announced for the PS3, especially after awkwardly playing on the 3DS. The HD Collection gets announced or the Vita, then the capability of Transfarring gets added to the mix and next thing you know I am back to playing through Snake Eater for a second time in the same year on two different portables. I preferred playing on the Vita over the 3DS as the hand positioning of the portable, screen, and sound were far superior.